This program is designed for students who wish to focus their studies in Spanish language and culture taking courses taught in Spanish in language, grammar, literature, art, history, political science and Spanish society. No previous knowledge of Spanish is required. All courses are taught in Spanish. Students take a placement test after arrival in Madrid to determine the appropriate course level. Courses are available at all levels from beginner to advanced. Students can take up to 5 courses and each course is 45 hours equivalent to a recommended 3 U.S. credits. Students can take up to 15 semester credits. Students with an advanced level of Spanish and who have completed at least five semesters of college level Spanish can take regular degree courses alongside Spanish students. Eligible students can select courses from the following areas: Social Sciences; Communication Sciences; Polytechnic School; Arts and Letters. Students choose courses from one area of study. This program is designed for students who wish to combine learning Spanish with specific degree courses from different areas, taught in English. Areas of academic study include Business and Marketing; Art and Architecture; Culture and History; International Relations and European Studies; Literature and Gender Studies. No previous knowledge of Spanish is required. Students take a placement test after arrival in Madrid to determine the appropriate course level. Courses are available at all levels from beginner to advanced. Students can take up to 5 courses and each course is 45 hours equivalent to a recommended 3 U.S. credits. At least one of the 5 courses must be taught in Spanish. Students can take up to 15 semester credits. Give your Spanish skills a head start and earn an extra credits on the Early Start Option. Students taking this option will arrive in Madrid before the semester begins and take an intensive Spanish language course focusing on grammar, conversation and culture. All levels of Spanish are available. 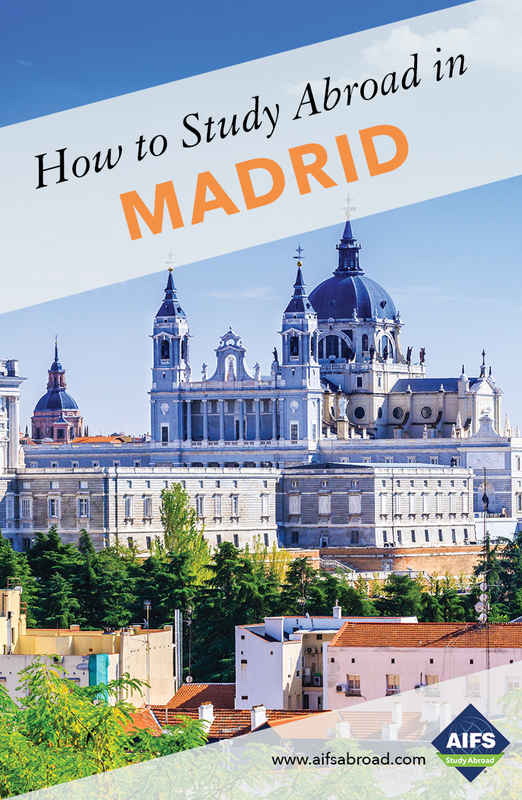 A placement test after arrival in Madrid will determine your level. The Optional Early Start Program gives you a good opportunity to improve your Spanish before the semester begins. The course also gives you the opportunity to make a gradual adjustment to academic life and living in Spain. The Early Start Program runs for 2 weeks in the fall and for 4 weeks in the spring. 3 credits are available in the fall and 6 credits in the spring. Housing in a homestay or apartment is included. Students with a minimum B2 level of Spanish (high intermediate) can participate in this program which combines Spanish language study with an internship. B1 level Spanish (intermediate) will be considered on a case by case basis for students wishing to take their internship in the science or hospitalityfield only. The Internship carries 3 US credits and students can combine this with courses from the Hispanic Studies. Students combining their internship with Hispanic Studies take 3 courses full time for the first two months and then spend the remainder of the program doing their internship. Internships have been offered in the following areas in previous years: accounting, architecture, art gallery/museums, arts, music, performing arts, arts restoration, biology, environment (animal protection), chemical and bio-sectors, education in NGO and schools, engineering, hotels and restaurants, hotel-tourism, human resources, law, marketing, media and journalism, psychology (only in occupational support activities, not psychological), public relations, social work, special education, sports, theater and travel agencies. All interns take part in an intercultural competence seminar. ECTS: Please note that the Universidad Nebrija issues ECTS (European Credit Transfer and Accumulation System) credits. The number of class hours and ECTS credits will be shown on the transcript to allow each student’s home institution the ultimate decision in the awarding of U.S. credit. Recommended U.S. semester credits shown in parentheses next to each course on the course description pages are based on 15 classroom hours per semester credit and are not a conversion of ECTS credits. Students should consult with their university advisors prior to participating in the program to have course credit pre-approved and ensure that they are taking the appropriate amount of credits. Named after the 15th Century humanist, Antonio de Nebrija, who published the first Spanish grammar book, Universidad Nebrija is a private university officially accredited by the Spanish Ministry of Education. Its 6,000 students (including over 500 international students) are integrated across three campuses: Dehesa de La Villa, La Berzosa and Madrid-Princesa. The Madrid-Princesa campus is located in the center of the capital in a recently restored and renovated historical building which is now the University’s main campus and most courses are taught there. Integration between international and Spanish students is a normal part of daily life at the University with students sharing the same facilities and services and an active campus life of clubs and activities. Nebrija prides itself on the high standard of its programs, its individual attention to students and the diversity of nationalities among its student body. As it welcomes students from all over the world seeking to expand their knowledge of Spanish language and culture and to experience contemporary Spain one of its main objectives is for students to become interculturally competent with the real-world skills demanded of today’s professionals.